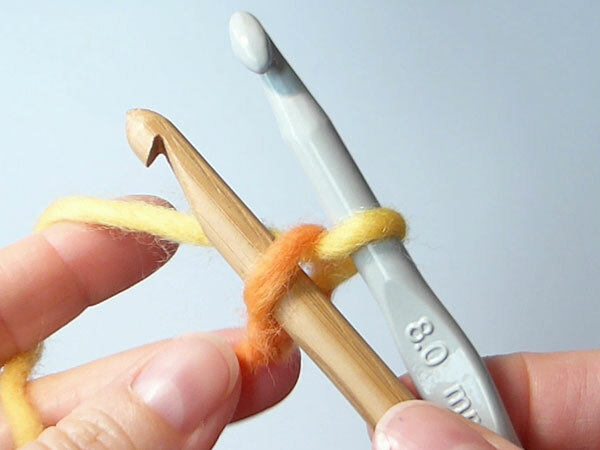 The technique described here requires two hooks. It is also possible to use one hook only, but I will write about that in a separate blog post. I originally saw Kim Guzman do the two-hooks-cast-on in a video. And I've only seen her do it, yet alone talk about it. Everything else called cast on, always shows to be foundation rows made from chains. Keep your tension loose or consider to go up 1-2mm in hook size. When counting, all loops count. 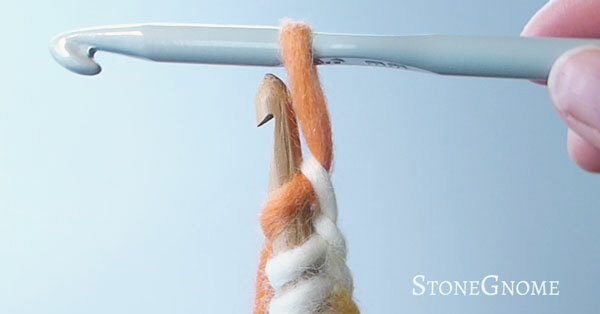 Including the single loop at the working hook. See the video to see all the steps. Use the brief notes at this page, as reminders in future. There are two ways of beginning. I prefer the no-knot solution. Either way, you need two loops to begin with, one on each hook. You now have two loops and can continue. 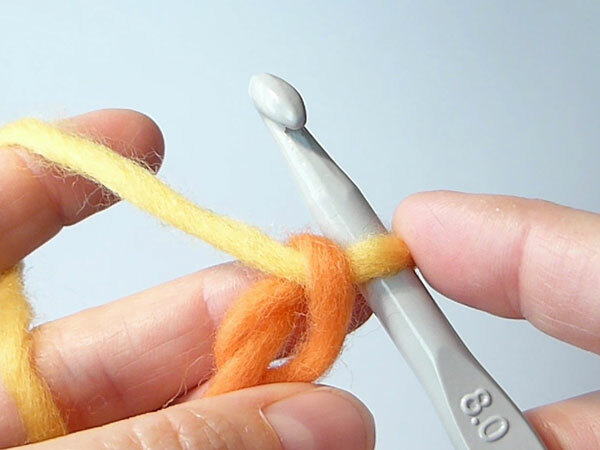 Make a very loose slip knot. 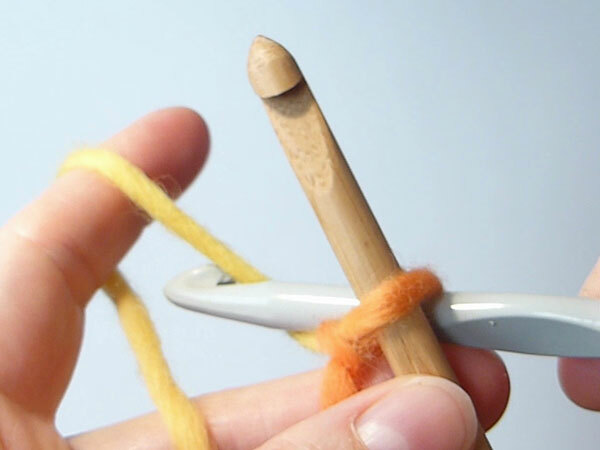 Insert the first hook into the ordinary loop of the slip knot. 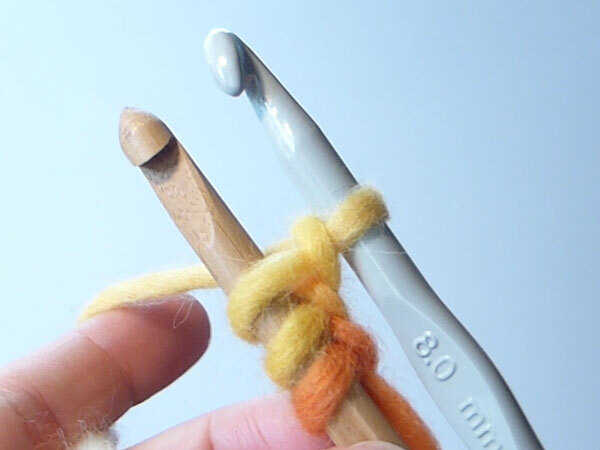 Insert the second hook into a bump, which is part of the knot. This part is pretty easy. Line up the hooks next to each other (Kim crosses them). 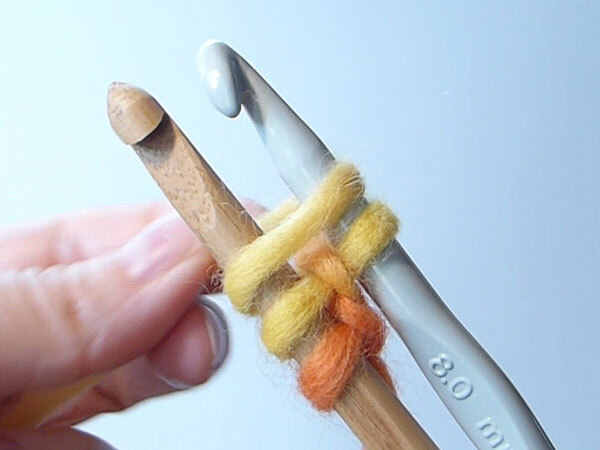 Pull the working yarn all around both hooks. 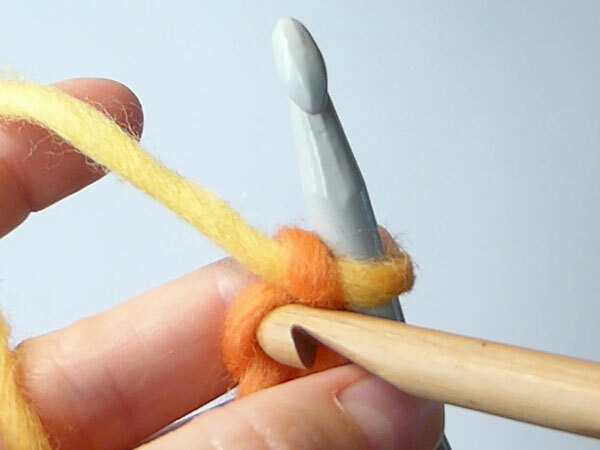 Pull through a loop with your working hook. 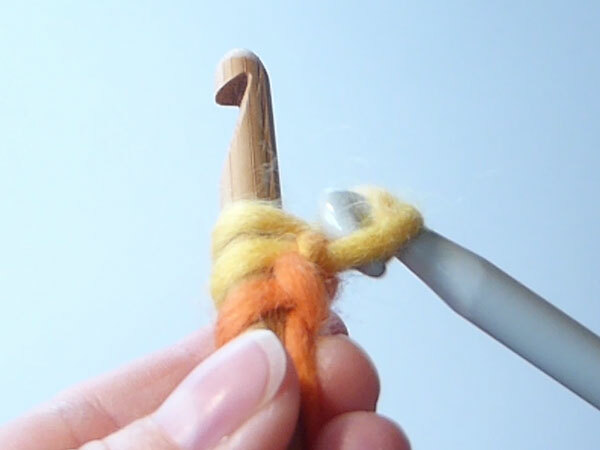 When you have enough, take the single loop from your working hook and gently push it onto the hook with all the other loops. 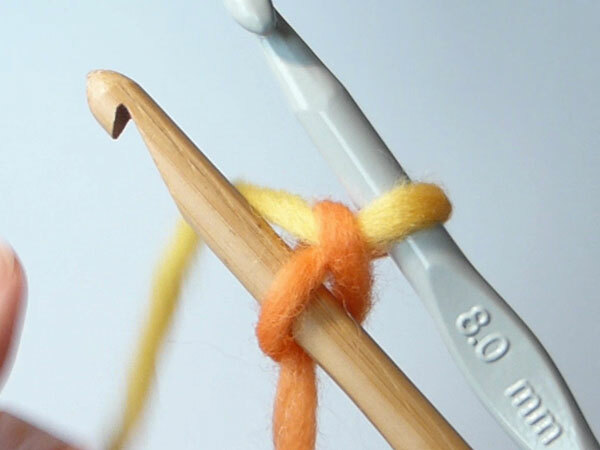 If you've done this part with a bigger hook, then transfer your loops to another hook now. See the video for a comparison of two samples. The chain-like bottom goes in different directions. In case you don't recognize the sample made with chains for foundation. It is made by hooking into the back bump of the chains. This gives you a nice edge/border. I have also done minor testing of the flexibility. 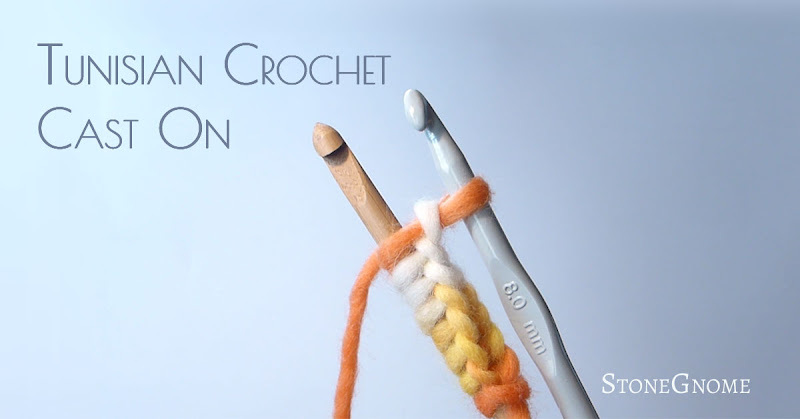 In the grey sample in the video, I've used 8mm hooks for the cast on - making the loops somewhat tight - and then transferred the loops to a 6mm hook before doing the return pass and the next rows. In that, case I got a similar flexibility as with a regular foundation row of chains. 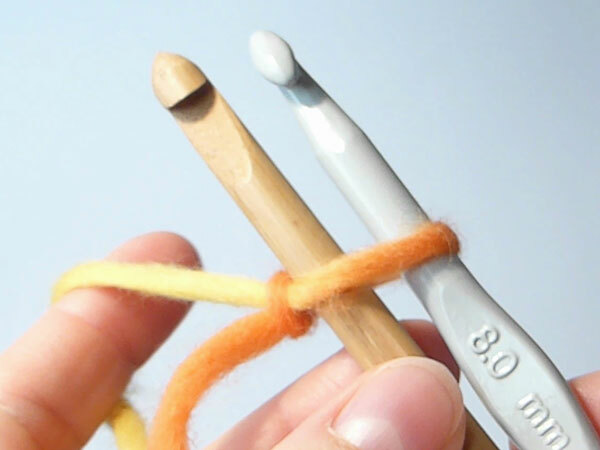 If I concentrate on doing very loose cast on, I don't need a 2mm bigger hook. You will find Kim Guzman's YouTube video here. Crochet Cast On. Follow me here, at youtube or instagram for the next blog post about yet another way of casting on.